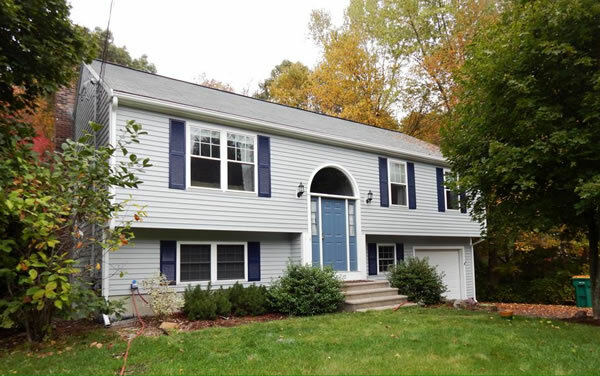 Exterior Staining and Painting in Massachusetts and Rhode Island. Staining and Varnishing the Exterior wood on your home or building is a great way to protect and enhance it’s appearance. Staining also brings out a level of elegance and class that is really very popular as evident by the many homes and businesses throughout our area that use natural wood accents in their decor. The natural color of the wood is enhanced by the staining process and the wood itself is protected from our Northeastern weather for many years. Do you have an Exterior Staining project around your home or business? 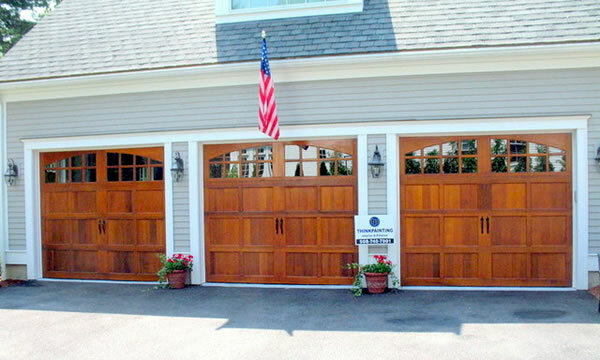 Maybe you’ve got a new garage door you need painted, the front door to your home, the entire structure of a timber framed house or maybe it’s a brand new wooden deck or privacy fence. It doesn’t matter how large or small your staining project ThinkPainting can help you. With ThinkPainting you aren’t just limited to traditional colors and techniques, we are highly skilled painters and can apply different finishing techniques that really enhance the “curb appeal” of your staining project that you won’t really find any other local painters who can make that claim. We aren’t just cutting edge with our equipment and techniques, our experienced painters are also well versed in many of the old world ways of staining and finishing wooden decor and structures. 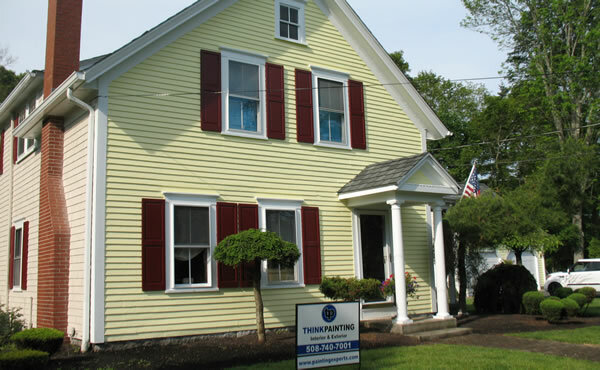 If you’ve got an Exterior Staining or Varnishing project on your home under construction, new timber frame building, or you just need an older project restained, give ThinkPainting a call and we’ll come out and give a competitive estimate along with some friendly and helpful advice on your Exterior Staining project.